Send me straight to the recipe please! Well, sometimes you want to make a whole meal out of things, and sometimes people don’t like bacon. I think this is as good of a time as any to go ahead and come clean. I hate bacon. There. I said it. Sacrilege, I know. I don’t care much for pork in general, but I especially dislike bacon. And you know what I hate even more than the meat itself? Everyone’s obsession with bacon. Bacon is the new cheese; it’s becoming a condiment to the extent that I feel like I should add, “Hold the bacon!” whenever I order anything at all at any restaurant, just in case. So if you are ever wondering why my otherwise meaty blog doesn’t involve much bacon, now you know. I’m a closet bacon-hater. I like to listen to Bob Marley’s “Three Little Birds” when I’m cooking dove. A little ironic, considering I’m cooking little birds. The bird of peace, no less. Braising dove is a great way to keep the meat moist (or moist enough, anyway) without slathering it in fat. I added some veg and mushrooms to mine to make a whole meal out of it, but those are certainly optional if you are going to have some hearty sides. I also used a stout for the braising liquid, but you can use just about any beer or red wine. My one suggestion is to try to select a beer with a little more umph (and by “umph” I mean flavor) than your regular Bud or Miller Light. You do want something that can stand up to the flavor of the fowl. I also made the recipe for 10 doves, which is the daily limit here in Texas. You can definitely squeeze a few more in (or use a few less) with this recipe. Heat 1 T of the oil in a pot with a pretty wide base. Season the birds with salt and pepper and sear them skin/breast side down. You might have to nudge them a little so both breasts will sear, but some of them will flatten out. Remove and set aside. Lower the heat to medium and add the rest of the oil and the onion. Season lightly with salt and pepper and sauté until they just start to carmelize, about 10 minutes. Then add the garlic, carrots and mushrooms and continue to sauté until the mushrooms start to soften and wilt, about another 5-10 minutes. 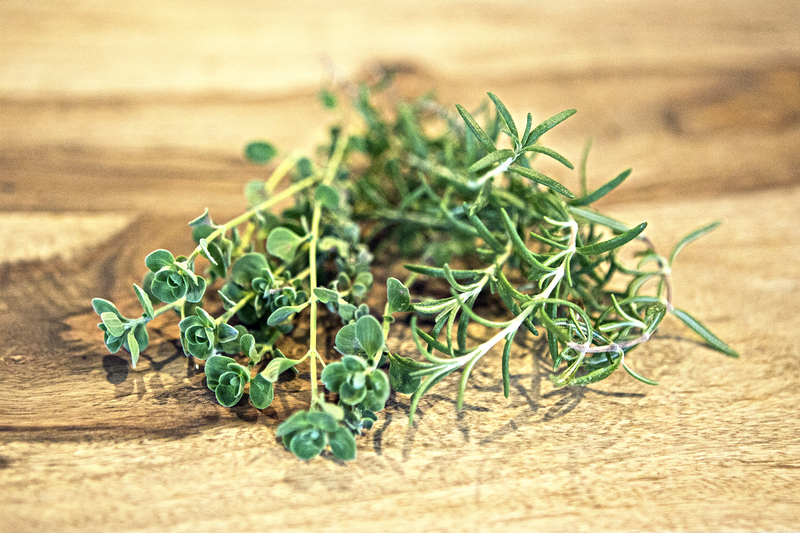 Add the fresh herbs, give the pot a quick stir until they become fragrant and then put the birds and any juices left from the plate back into the pot. Add the balsamic vinegar, beer and enough water to barely cover the birds. It’s okay if some of the bones stick out a little bit. Bring it just to a boil then turn the heat down and simmer until the meat is cooked and tender, about 1 hour. Once the meat is tender, simmer with the lid off until the liquid has reduced some, about 10-20 minutes. Be sure to give the liquid a taste and add a little sugar if needed. The braising liquid-turned-sauce can come out a little strong, so tasting is necessary so you know how much you want to reduce it. If it already tastes strong, just let it reduce for a couple of minutes. Serve with rice and/or crusty bread. Non-game subsitutions: Any store-bought fowl will do, especially something fancy like quail. Vegetarian subsitution: You can definitely try this with tofu, and if you do then you will not need to braise it for nearly as long (I’d say 30 minutes at the very most) and make sure to use the super extra firm stuff so it doesn’t fall apart. Do keep in mind I have not actually tried this, I’m just guestimating it will taste okay. 2 Comments on "Dove recipe: Stout braised dove"
I hate bacon too, and I especially hate when people make poppers out of EVERYTHING! I also don’t care for jalapenos all that much, so poppers are pretty much out at our house. Doing a freezer clean-out to get ready for the upcoming season. 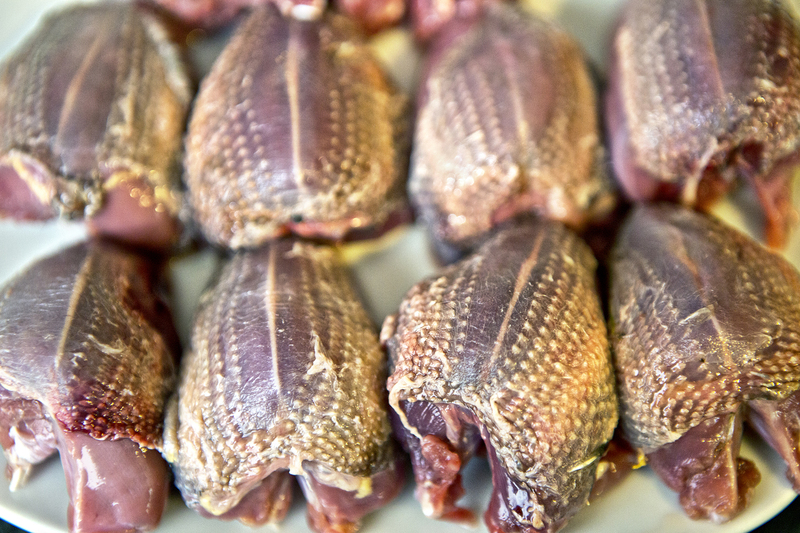 Can’t wait to try these braised dove!